The Seychelles Islands, or the Republic of Seychelle, is an archipelago made up of 115 islands in the Indian Ocean, thirty-three of which are inhabited. They are located northeast of the island of Madagascar, approximately 1,600 km of the coast of eastern Africa. These islands remained uninhabited for more that 150 years after Western explorers discovered them in roughly 1505 by the Portuguese, although Austronesians or Arabs may have visited beforehand. The islands were formally claimed by France in 1756 and received their current name in honor of King Louis XV's finance minister. The Seychelles were captured and freed several times before being formally transferred to the British in the Treaty of Paris (1814). They then became a separate British Crown colony in 1903. During the '70s and '80s, the islands went through a time of political unrest, including several failed coups. Eventually a multiparty system of government was created on December 4, 1991, of which France-Albert Rene is the president (elected in 1998). The Seychelles Islands were formed millions of years ago when India separated from Africa. Also, undersea volcanic activity in the area produced much more land mass. Unfortunately, a vast majority of this huge land has become submerged over time. The group of islands is broke into the Inner and Outer islands. The Inner islands are name of a collection of forty-two islands that total 54% of the island nation, but 98% of the population. The granite group of the inner islands consists of 40 granite islands, all of which are within thirty-five miles of the main island, Mahe. Most of these islands are rocky with narrow coastal strip and a central range of hills. The most important of these islands are the Mahe, Praslin, Silhouette, La Digue, Fregate, Curieuse, North, and Aride Island. There are also two coralline islands that lie ninety kilometers to the north. The Outer islands describes the group of islands that do not lie on the Seychelles Plateau. They are all located from 230 to 1150 km from the main island and are all made of coral. They are also outside of the administrative and electoral District of Seychelles. These Outer islands make up 46% of the landmass, but only 2% of the population. Eleven islands are inhabited, but the largest settlement is on Coetivy Island. 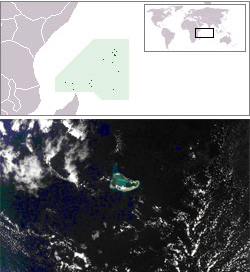 The Comoro Islands are an archipelago of four islands and several islets located in the western Indian Ocean about ten to twelve degrees south of the Equator and less than 200 miles off the East African coast. They lie approximately halfway between the island of Madagascar and northern Mozambique at the northern end of the Mozambique Channel. The archipelago is the result of volcanic action along a fissure in the seabed running west-northwest to east-southeast. 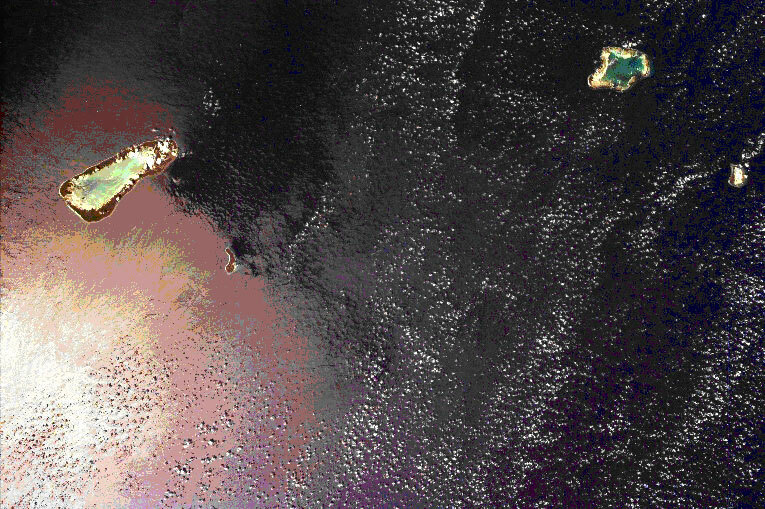 The total area of the four islands is 785 square miles (2,034 square kilometers). The four major islands are Ngazidja, Mwali, Nzwani, and Mayotte (Maore). Ngazidja is the largest and the youngest island in the archipelago. It is the most westerly of the islands, lying 188 miles from Mozambique. Ngazidja has an active volcano that rises to a height of 7,746 feet (2,361 meters) above sea level. Mwali, 28 miles south-southeast of Ngazidja, is the smallest of the islands with a central mountain range that rises 2,556 feet (790 meters) above sea level. Nzwani lies about twenty-five miles easterly of Mwali, has a central peak that rises 5,072 feet (1,575 meters) above sea level. It also has several swift running streams that cascade down to long, sandy beaches. Forty-four miles to the southeast of Nzwani is Mayotte (Maore), the oldest of the islands. It is almost surrounded by a barrier reef and is fairly flat with slow meandering streams and mangrove swamps.